Bio Compression Systems, Inc., is one of the leading manufacturers of pneumatic sequential therapy equipment. In addition to its high-quality devices, Bio Compression Systems has developed a wide range of garments in sizes and styles applicable to virtually every anatomical area in need of edema reduction, increased circulation, and promotion of enhanced wound healing. For patient measurements with unique characteristics, Bio Compression Systems’ specializedequipment enables the design and production of custom garments. Since all garments and devices are manufactured on premises in our Moonachie New Jersey factory, we are able to provide fast turnaround of custom garment orders shipping on a weekly basis. 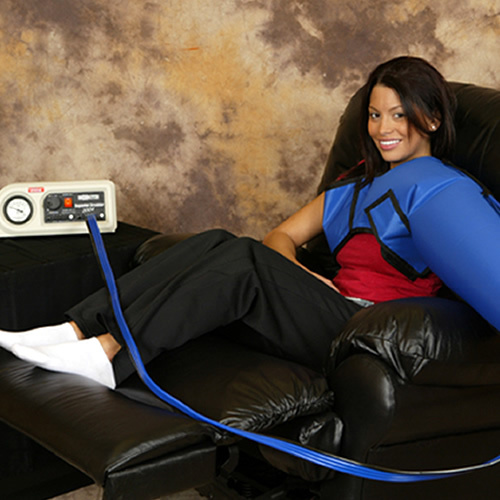 Bio Compression Systems, Inc., has been the leading manufacturer of compression therapy equipment for over 30 years. We manufacture Sequential Circulators and Gradient Sequential Pneumatic Compression Devices for the treatment of Lymphedema, Venous and Arterial Insufficiency and Wound Healing which includes a wide range of garments in sizes and styles applicable to virtually every anatomical area in need of edema reduction, increased circulation and promotion of enhanced wound healing. Bio Compression is the only manufacturer to offer custom garments of various length and widths that can be designed and delivered within one weeks time. All such garments are totally compatible with our Model SC-2004-OC, SC-2004, SC-2008-OC, SC-2008, SC-3004-DL, SC-3004, SC-3008-DL and SC-3008-T gradient sequential pumps. 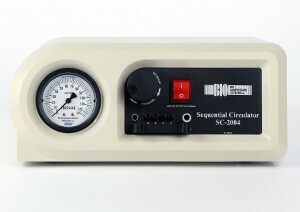 BioCryo is a unique system that utilizes both our Model SC-2004 and SC-3004 pumps, enabling simultaneous application of cold therapy and sequential gradient compression for the rehabilitation of patients suffering from sports and other orthopedic injuries, as well as to relieve postoperative edema and enhance rehabilitation. Multi-Flo Combo System, provides DVT prophylaxis along with an optional Cryo (Cold therapy) port. Postsurgical patients will benefit from the DVT Prophylaxis System while reducing swelling in their surgical area with the Cryo feature. Based on the patient's need, standard Cryo garments are available for the foot/ankle, knee and shoulder. Custom Cryo garments are also available upon request. Bio Arterial Plus is an Intermittent, Pneumatic High Pressure, Rapid Inflation/Deflation Cycle Compression System that sequentially compresses both the foot and calf in patients suffering primarily from Peripheral Arterial Disease (PAD). This system is designed to delivery pressures of 120mmHg for two to three treatments per day. 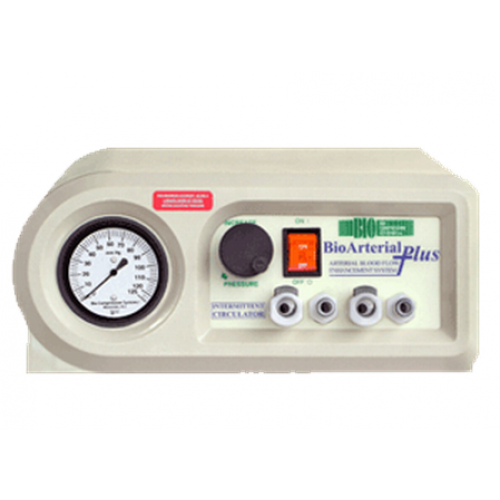 The Bio Arterial Plus System increases arterial blood flow in both the popliteal artery and at the tissue level. The Bio Arterial garments are available in two sizes either standard or wide. Through affective compression, patients will see significant improvements in walking distance, oxygen levels and quality of life.